Welcome back to Techie Tuesday! Last year I had 2 main goals. One goal was to increase parent improvement, both academically and behaviorally. I wanted parents to be involved with their child's school, even if it wasn't them being physically at the school. The second goal was to place an emphasis on positive behavior. My solution, ClassDoJo! ClassDoJo is an on-line behavior management system, that is FREE! It can be tracked on a computer, a tablet, or a smart phone. There are several features that I used, that made a wold of difference. 1) Customize-Through ClassDoJo I was able to customize the behaviors that were unique to my classroom, and my style of teaching. 2) Communicate- I was able to communicate with individual parents for both positive and negative behavior. It helped to open on the lines of communication. It also allowed me to send a whole class broadcast to remind parents of what was coming up. 3)Data Tracker- With this app, I was able to track each child's data, which showed what they were doing very well, and what they need more practice/instruction on. It also showed the class' behavior overall. To start, you simply sign up, add your class, customize your behaviors. You are now ready to start tracking behavior. When it is time to give a "DoJo," you select the student(s) or the entire class, and then select the behavior. Once you select the behavior, you will hear a chime for a point, or a "buzzer" for taking points away. Now, this is where you can customize. If you don't want to use a sound, you turn it off, if you don't want to take points away, you don't have to. Each Monday, before school, I reset the points. Some teachers never reset, some did it at the quarter, some did when the child reached 100. It is completely up to you. Some tecahers also paired DoJo with a treasure box, or a different reward. I never ended up having to. Now, back to the parent involvement. Throughout the year when something happened, where I needed to contact the parent(s), I sent them a private message on their DoJo. If the situation required a phone call, I still sent them a message, so they would have a heads up, and them asked when I could call. Every parent in my room signed up (no matter what their situation was). Throughout the year, I heard from all parents about how much they loved this app. It turned into part of their "how was your day?" talk at the end of the day. The parents also were able to see all the great things that their child was doing. Speaking of, this leads me to my second goal, to focus on what each child was doing well. 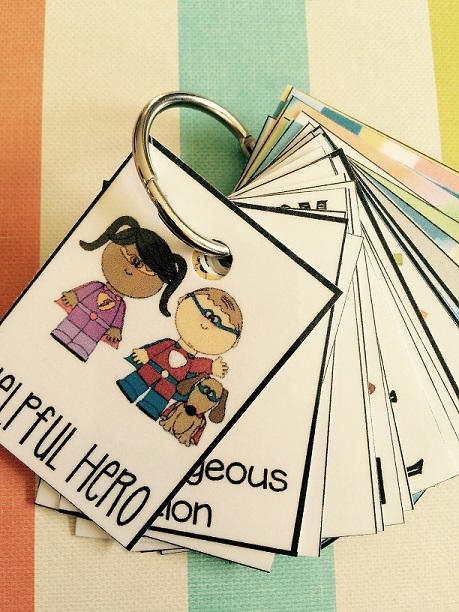 In addition to ClassDoJo, I used brag tags. 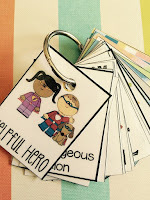 Brag tags are "tags" that children collect over the year. The ones I used included, being safe, respectful, responsible, "bubble catcher," good listener, etc. I also handed them out for birthdays, zipping, 50th, 100th day, etc. Each child kept their brag tags on a ring, on a hook. This allowed children to continually add to it, independently throughout the day. Now, there were times when children earned a brag, but I was not able to get it to them right away. To solve this, I used a tackle/craft box to store the tags for each child. Each child has their own section in the container. When I saw them doing something to earn a brag tag, I let them know by a thumbs up, and then placed their tag into their section. At the end of the day, we celebrated by handing out these brag tags and placing them on their ring. When their parents came, school learning buddies, volunteers, or substitute teachers, they were very excited to show off everything that they earned a brag tag for. This system helped to focus on the positive behaviors! 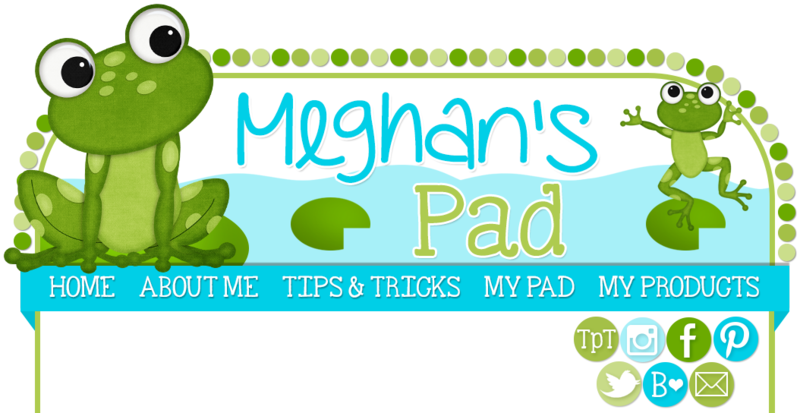 You can check out the brag tags that I used by clicking here. They are on sale all day today!!! What systems do you use for behavior management? Please comment below. Thank you for hoppin' by! Next week I am going to talk about how I use QR codes to help children with listen to reading.